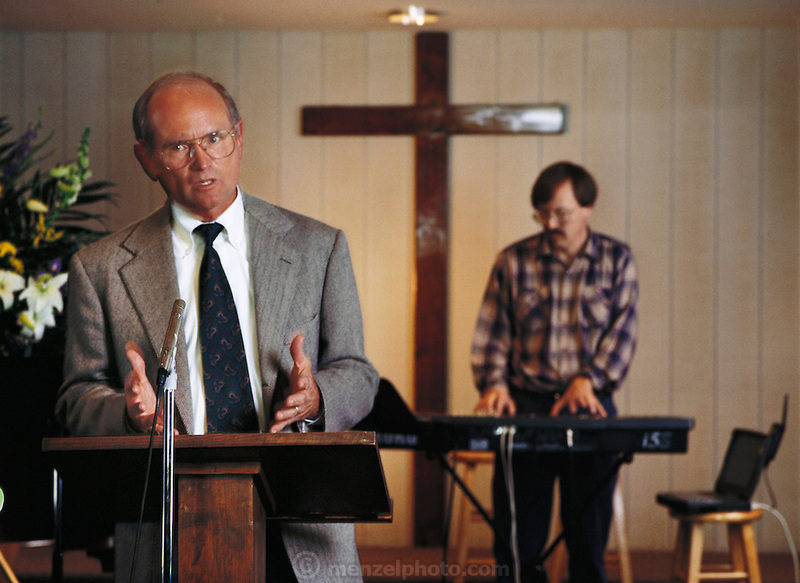 New Life church, Silicon Valley, California; Larry Wall, author of the computer language "Pearl" and musician, at the New Life Church in Cupertino, California, plays the electric organ during a service. Wall references the music via his laptop computer, which accesses the Internet over a wireless modem. He also has the bible on his laptop. Model Released (1998).